Our goal at Seal Beach Winery has always been to create wine that tells a story. The 2014 Pinot Noir Reserve, one of the newest additions to our expansive tasting room menu, certainly fits this bill. Blended from four different grapes encompassing two vineyards and three different clones (2A, 115, and 667), ths wine is Sta. Rita Hills. The 2014 Pinot Noir Reserve fully encompasses the unique tastes and qualities of Sta. Rita Hills Wines, creating a mosaic of blissful wine country in a single sip. Each beautiful quality of our new Pinot Noir is a direct product of this expert blending of grapes. The pretty floral and spice tones in the bouquet of rose petals and strawberry is the expression of Cloe 115. The Clone 667 influence can be detected in the deep, brilliant color and the intensely dark fruit nose, while the smokiness, spice, and earthy complexity in the body of the wine is a gift from the Clone 2A. What results is an exquisite red wine with a world of bold and exciting flavors to discover. While Pinot Noir notoriously pairs well with sheep's milk cheeses, our wine in particular really elevates this pairing to its fullest potential. The amazingly supple and earthy flavors in the Cana de Oveja make a perfect match with the same qualities in the wine, cancelling each other out on the palate and allowing full expression of fruitiness and creaminess. Treat yourself to this decadent combination, and many more, by ordering an artisan cheese plate alongside your favorite wines in the tasting room! I've never met a person that doesn't love comfort food. And, if you're looking at this website, you certainly love wine as well. 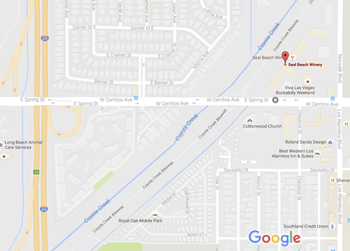 If you're looking for a little something that satisfies your comfort food cravings and also lets you sip on some beautiful Seal Beach wine, you're definitely in luck. This particular batch of chili is super easy to whip up, and our bottles of smoky. 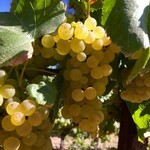 fruity Grenache are always available in the tasting room. The mild spice from this particular recipe livens up the fruit-forward aspect of the Grenache, while the smokiness of the wine melds with the spices in the chili. It's a win-win situation for both the delectable beverage and the hearty, delicious dish! Here's the recipe to follow, or modify howevery you choose. Want to skip the beef? Add some more beans! Need a little more heat? Add some more cayenne to set your palate alight. And, if you want to know my secret, throw in a spoonful of chocolate chips or nutella. Just trust me, it's amazing. I'm sure we can all remember our first Valentine's Day with the sweetheart of our youth, quickly exchanging heart-shaped boxes of chocolate with shaky, awkward hands. As we all got older, the tradition of Valentine's Day evolved. With adult partners, we've all gone through the ordeal of pinning down reservations at crowded restaurants and shopping for the very best wine to bring along on our romantic evenings. What if you could do both--nibble on bites of delicious chocolate like we did on our first Valentine's Days and appreciate that glass of beautifully crafted wine that came with adulthood? This Valentine's Day, Seal Beach Winery wants to bring you the extravagance of a date night out with the comfort of sweet, creamy chocolate. On Tuesday, February 14th (in case you need to be reminded! ), we will be offering two glasses of wine off of our expansive wine menu accompanied by our new artisan Chocolate Cheese Plate for $15. Between the amazing price and the cozy intimacy of our tasting room, we know you'll be happy you took your date to Seal Beach Winery! If you've been a member here at the winery for a little while, you certainly remember a time when we had little Hershey's chocolates strewn about the tasting room. These tiny, melt-in-your-mouth pieces of sweetness were delicious when mingled with our wines, and we've definitely heard your calls to bring them back. But how about we do one better for you, and give you a gourmet dessert plate that will tickle your palate in the same way, and enhance the flavors of the wine that you already enjoy? 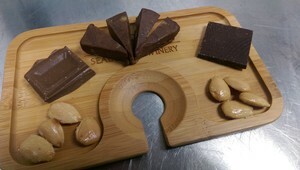 We're excited to introduce our new dessert plate here in our tasting room. Of course, the main feature of our decadent sweets sampler is--you guessed it!--chocolate. In addition to an assortment of artisinal milk and dark chocolates from Spain, Ghana, and Peru, you'll also be treated to salty, handmade Valencia almonds. The mix of salty and sweet is not only enjoyable on its own, but will play with the flavors of whichever wine you're drinking and truly transform your experience. And you still have the main feature of the plate, Chocolate Cheese Fudge. This is, in fact, a beautiful, creamy marriage of chocolate and cheese, which are, of course, staples with wine. Truly a unique and exciting addition to our already delicious cheese selections, come in and grab a custom made dessert plate with our wines in mind whenever your sweet tooth is tingling. We'll see you soon! Glühwein, rich, red wine steeped for hours with fresh herbs and spices, is such an amazing German tradition. This warm holiday beverage is held in the mitten-clad hands of everyone trudging around the all-too popular Christmas markets--as the downfall of snow chills them to the bone, the delicious, hot wine warms them to their very core. In the United States, this tradition is carried out in the form of mulled wine. And while we don't drink wine in public places in quite the same way the Germans do, and we don't experience that same bone-chilling frost here in Southern California, we can all appreciate a warm wine beverage packed with comforting flavors. The menu here at Seal Beach Winery is expansive and full of possibilities for mulled wine. With each wine having its own unique flavors and nuances, it only follows suit that these flavors should be built upon with specially catered herbs and spices. Syrah- Right now, Seal Beach Winery is featuring three Syrahs. While all of these can be used for mulled wine, I suggest the 2012 Syrah that was just released for mulling, as its flavors of vanilla and cedar will really shine alongside the right spices. For this wine, I would stick with the essential cinnamon and clove combo, but add in some star anise and fennel to really highlight the licorice flavors and some lemon to bring brightness to the drink. 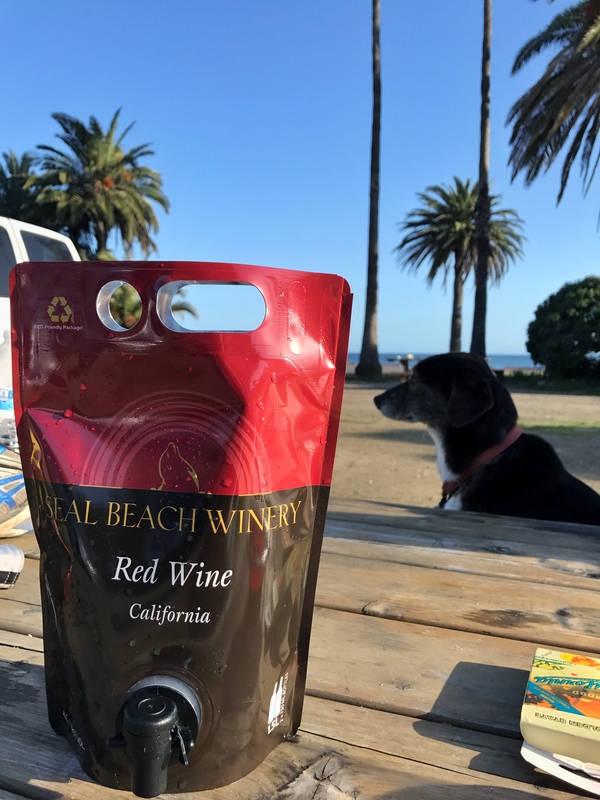 Cabernet Franc- As we learned at the Popcorn Pairing Party, Seal Beach Winery's Cab Franc meets its perfect pair in Star Anise and Vanilla Sugar. These ingredients must be the star of the show in a Cab Franc based mulled wine. Sangiovese- This wine is actually fairly tannic with intense flavors of dried cranberries--perfect for the holidays and spiced wine alike. Accentuate the cranberry flavors with a traditional pairing, oranges! Zinfandel- Our Zinfandel is definitely a favorite among our members, and for good reason. This luscious wine is filled with so many flavors, it could complement just about anything. However, for this particular recipe, we're going to match it with everyone's favorite comfort drink--hot chocolate! Chardonnay- Surprise! You can make mulled wine with whites as well. Our 2013 Old Vine Chardonnay is the perfect balance of oakiness and crispness for mulling wine. With this, accentuate the light flavors with citrus and ginger, rather than heavy sugars and cinnamon. So there you have it, a wide array of combinations to try heating up this holiday season. Remember, for each wine, let the herbs simmer slowly over time to avoid burning the sugars and overcooking the wine. Try heating on a stove on low for a few hours, or even dump the ingredients into a crock pot and let the spices sizzle and flavors develop. And, as always, try to stay warm this winter season! 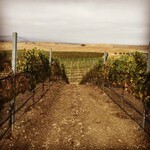 Seal Beach Winery is undoubtedly more than your average tasting room. It's a place of endless and lively conversation among our loyal members and newcomers alike, often packed to the brim with people enjoying wine from the wide array of choices on our menu or nibbling on artisan cheese plates. Every Friday you'll find our guests lounging around our live musicians, cheering them on while enjoying time with their friends and family (and of course, luxuriously sipping on wine as well!). On Saturdays and Sundays we celebrate our members with the occasional party, like our Harvest and Holiday parties, offering buffets of amazing, local food, hosting vendors from around the area, and giving out tastings of our latest new wines. And of course, we have Wine Wednesday, where every glass you could possibly want is $6. 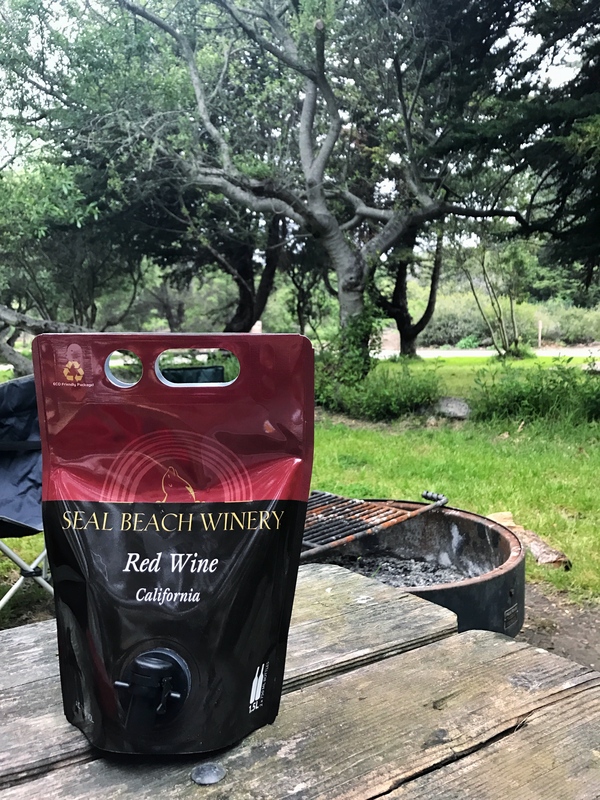 Every day of the week brings something new for us at Seal Beach Winery. That is, except for Thursday. We thought we'd remedy that by starting a new special available only on Thursdays! That way, each day of the week gets all the love it deserves. In case you didn't already know about our convenient and inventive growler program, you can read up on it here. of even more wine to enjoy among good company. Moreover, filling your growler on Thursdays still earns you a stamp on your Growler Loyalty Card. Eventually, and probably without even noticing, you'll acquire all ten stamps and get yourself a free growler fill on us. The only thing you need to do to start reaping these rewards is pick up a glass growler and start filling with your favorite wines out of our eight current keg options. 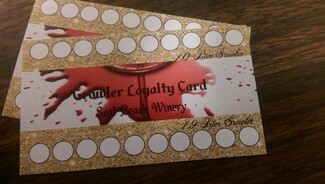 Now every day is equal at Seal Beach Winery! It will be hard to not come in for every special and event we have to offer, but we won't judge you if you do. As walking into any major retail store will tell you, it is common practice to dive right into the holiday season as soon as Halloween passes. While skeletons and ghosts are swiftly removed in favor of Christmas trees, holiday lights, and advent calendars, so many people forget how wonderful Thanksgiving can be (and honestly, I can't see how so many aren't tangibly excited for mountains of mashed potatoes and gloriously roasted turkey). However, for the winos here at Seal Beach Winery, Thanksgiving holds more in store than just delicious food--the perfect wine pairings for all those traditional Thanksgiving favorites. The most staple traditions of Thanksgiving are, of course, turkey and mashed potatoes, all smothered in savory gravy. As such, many people seeking to pair wine with their Thanksgiving feasts look towards finding a perfect match for these hearty mainstays. Reds that are lower in tannins and high in bright, fruit flavors do create an excellent contrast to these intense and savory dishes. 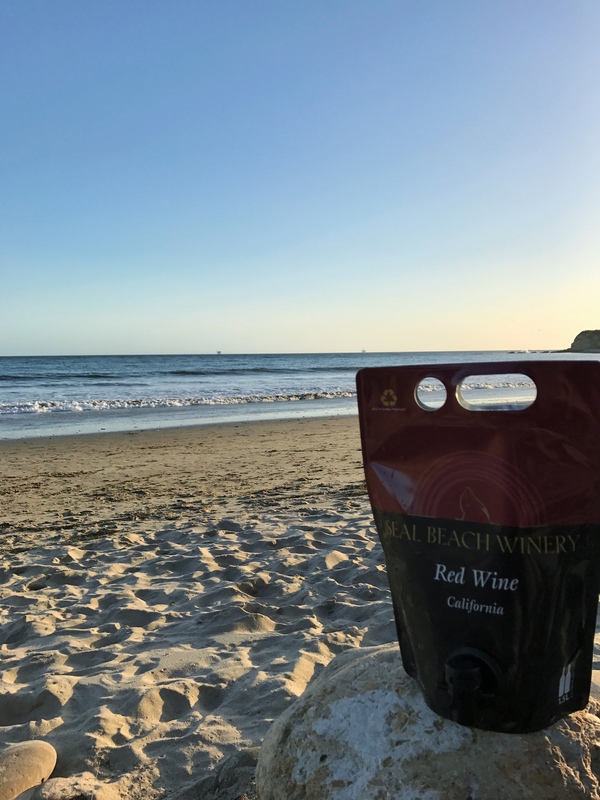 And as the wine club members at Seal Beach Winery know, we offer a variety of wines that fit this critera almost exactly, such as either of the Pinot Noirs or Grenaches, the Barbera, or the Zinfandel. Each of these wines have a bold fruit flavor and a smooth finish to round out the heartiness of the centerpieces of any traditiional Thanksgiving feast. Next to every off-brown component of the Thanksgiving dinner (think turkey, stuffing, potatoes, gravy..), there is something bright and green. Whether that be something along the lines of fresh, seasoned green beans or wilted spinach is up to each household chef. However, what is certain is that these greens offer a fresh relief from the heartiness of the rest of the meal. When conceptualizing what the ideal pairing for these light vegetables should be, the wine should be thought about in the same way. Crisp, cold wines, like our Old Vine Chardonnay or either of our Rosés, will amplify the lightness of these vegetables and round out the meal. For me, the very best part of Thanksgiving is the copious amount of sweet potatoes I can eat without judgment. While I smother mine with marshmallows and candied pecans, many people opt for something lighter, like roasted butternut squash, glazed carrots, or even homemade cornbread (or any combination of those, really). Dishes like these will pair well with a variety of wines depending on what your intention is--a dry, tannic wine like our 2010 Cabernet Sauvignon or 2012 Syrah will tone down the sugar content and leave the dish feeling more rich, whereas a sweeter, cold wine like our Chardonnays of Rosés, will amplify the sweetness. While each element of a Thanksgiving dinner has wines that pair perfectly alongside it, many of us don't feel like interchanging sips from several glasses in front of us while we feast. As a host, it's always good to offer up a selection of wines, such as a few from each section above. However, as a mere drinker, it's helpful to know what wines pair nicely with just about anything you could encounter at the dinner table. If you prefer to stick to one wine for the entire dinner--or only want one glass--a Pinot Noir or Chardonnay is the way to go. These are some of the most amenable wines to pair with Thanksgiving food. Another fantastic wine for pairing with all of these delicious Thanksgiving options is our brand new Sangiovese, which will be debuting right before the holiday. Its intense notes of black fruit will complement moist turkey breast and darker thighs alike. Moreover, with its acidity balanced by a smooth, cherry finish, this Sangiovese will work alongside any sweet sides or tender vegetables while still being bold enough to stand up to hearty potatoes and gravy. 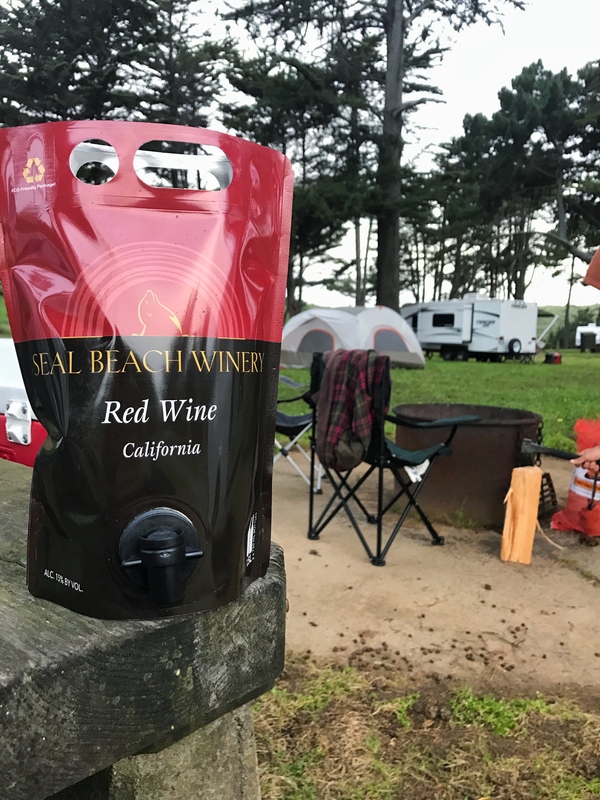 Look out for the release of this wine, and consider taking a 1.5 liter growler bag along to any family party. It's certainly difficult to find food that isn't improved by a well-paired wine. Restaurants, bistros, and bars everywhere are created around this simple concept. Even our tasting room at Seal Beach Winery is stocked full of wines that, while vivacious and inviting in their own right, simply make food better--our dry roses cut through sweet and spicy flavors alike, our full-bodied reds make meat juicier and spicier, and our whites play up the more delicate aspects of our fish and seafoods. It's a shame that we don't often get to showcase just how well our wines pair with flavors and spices of all varieties. This October 1st, however, marks the date of an amazing opporunity to pair our wines and, to be sure, have an immense amount of fun. I'm speaking, of course, about the Popcorn Pairing Palooza held right in our tasting room, when we'll be crafting gourmet popcorns with fresh herbs and spices (and heaps of melted butter!) that are designed to showcase the versatility and beauty of our wine menu. We're keeping the exact flavors our secret for right now, but there will for sure be a little something for every palate and every glass of wine. When you walk in the door, you'll be greeted by the scent of freshly popped, buttered popcorn. You'll be directed towards several station where you'll be able to taste six of our different wines and a matching popcorn sample, which will help you become informed when you decide which glass of wine and bag of popcorn you'd like to settle in with. During the event, we'll also be raffling off a growler filled with our Derbyshire Pinot Noir. Your entry will be included with your ticket, and winning this raffle will give you access to our growler program if you're not already filling up your growlers. Classier than your average carrnival, tickets to the party are a steal at $5 a piece. However, these will be limited, so make sure to stop by the winery to pick one up. We're sure you were coming by for a tasting anyway.